OWH Stars and Stamps (Our OLD blog! ): Midweek Throwdown - Gettin' Digi With It! We have a sponsor this week!! 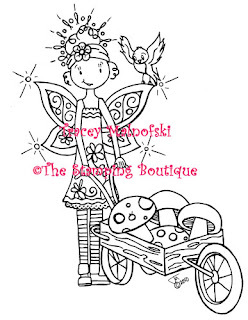 I'd like to introduce Tracey of The Stamping Boutique! I'm Tracey Malnofski, the artist/owner of The Stamping Boutique. We've been open since August of 2009. Before opening my own store, I designed digital and rubber stamps for InStyleStamps, Squigglefly and The DigiShack. I love the communities we all share and the friends I've made. You have all been such a blessing in my life. I so hope you enjoy my images and thanks so much for participating! 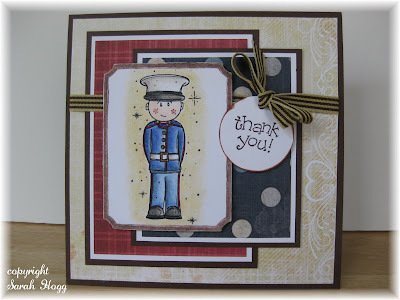 Tracey of The Stamping Boutique to make a card for our troops! Simply click on the image to make it full size, then right click to get a drop down menu, click "save image as" and there you have it. I always save images like this to my desktop so they are easy for me to find. The Stamping Boutique is also sponsoring a prize for us this week! Thank you so much for your generosity Tracey! Our inspiration sample was created by the amazing Sarah Hogg. To see more of her gorgeous artwork, please visit her blog, Something Special. Thank you, Sarah, for the beautiful card! This is going to be a lot of fun to use these adorable images for OWH cards. My thanks to The Stamping Boutique for donating these images. I am very excited to get to work on my card! Thanks for the digis! I can't wait to start playing with them. Such cute digis. Thank you for your generosity. Thanks for the DIGI! I need to get busy on some cards! We are very gratful Stamping Boutique for giving us these digit's to use on our cards!! Thanks so very much! They are sooo cute! Many thanks Tracey! I snagged these guys at the Memorial Day bloghop and have been busily making lots of cards with them! I love them - especially the "pledge girl" and the marine - my son's name is AJ so wow- that makes it fun huh? :) Thank you so much! Thank you so much for the digis! Having a blast playing with them! Beautiful images! Thanks so much! Thank you, for the great images. They are really cute! Lovely images, thank you!! I think Cynthia(mushrooms) was given away at some point as a freebie cause I already have her. These are so timely and just adorable. Thank you for sharing. Oh, they are so sweet! Thank you!!! WOW! These are fabulous digis! Thank you so much for sharing them for OWH! Thanks for the digis and being so generous. Thank you for the free images. I can't wait to color them and share them with you. What great digis!! I have made one card so far and hope to make a few more before the 4th, since I want to give them to our local legions from my BSA Troop. These are beautiful images. I have mine printed out - several of each and will be coloring them later this morning using prismacolor pencils. Just got my order from SU which included red and navy - so I am all set! Great cards everyone. some creative girls on this one! great job ladies!